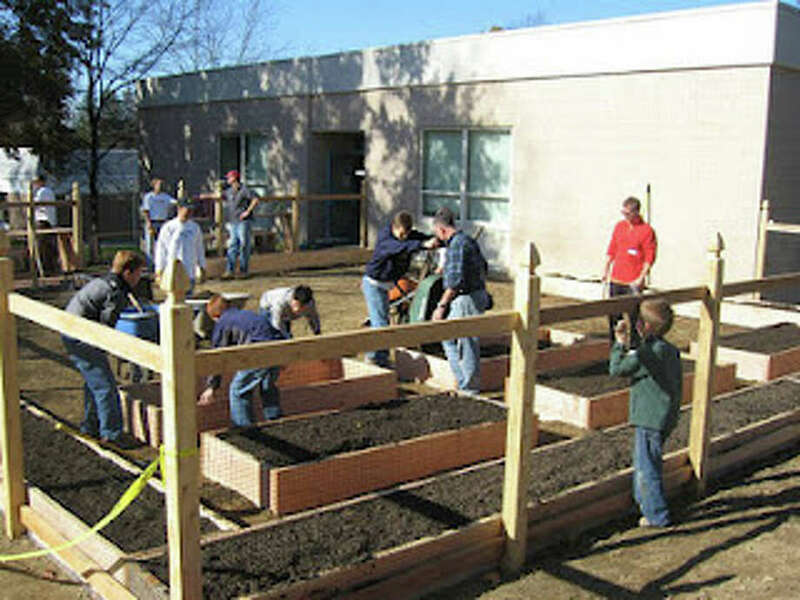 Construction on the garden at Ox Ridge Elementary School was completed in November 2011 and vegetable plantings are scheduled to take place in the near future. Hindley Elementary will be the second school to maintain its own garden after Board of Education members unanimously approved the proposal. Assistant Superintendent Matthew Byrnes presented the proposal of a garden on behalf of the Hindley PTO who would fund the project. "The garden would be operating under the same parameters of the other two schools," he said. The total cost for the project was estimated to be about $9,300, but Byrnes said the cost was only that high because the costs for materials and labor weren't backed out. He said the labor costs and materials and labor had been donated for the gardens at the other schools and the same scenario would happen at Hindley. The garden would be located in the bus loop area where students would be able to see it every day, Byrnes said. "It will be where the flagpole is and where the buses pull in. It has an interesting configuration. Each garden has taken on the shape that best fits the school," he said. "It's longer and thinner in certain areas. It's a really nice space as far as sun and a water source. It will be nice because the kids will see it every day." Noelle Henderson, one of the leaders behind the garden project, said she has been a fan of gardening since she moved to Darien 14 years ago and wanted to be able to share that experience with other residents. "The whole idea of the gardens is to reconnect kids with where food comes from," she said. "The gardens can be an outdoor classroom because there are so many different lessons you can teach." Henderson began looking into bringing gardens to the elementary schools two years ago but the project was delayed when some concerns about food safety were raised. "There are state and federal regulations for student gardens in relation to food safety that will be followed. All of the vegetables will be washed several times and refrigerated and students will have their parents sign forms giving them permission to eat the vegetables," Henderson said. Funding for all of the elementary school gardens has already been secured through grants and donations and Henderson said the goal is begin construction on all of the gardens by the end of the spring. "All of the gardens are relatively the same size but we leave it up to each group to determine what they want to plant," she said. "We want the gardens to be kid-friendly, so there will be beans, peas and carrots and other vegetables that kids like. You probably won't see too much kale or brussels sprouts." In addition to providing fresh vegetables, Henderson said she hopes the project will get kids excited and encourage them to continue gardening when they are in middle school and high school. Henderson said students at Ox Ridge Elementary School are already excited about planting in their garden and have put in some flower bulbs. "We're really waiting to see how the gardens will function and what the parents in charge want to do at each one," Henderson said. "I think by getting everyone involved in the construction and maintenance of the gardens you create a real sense of ownership."